Let’s talk about Typhoon of Fire, the sequel to Call of the Conjurer. This book was always in the back of my mind. At the very least, I had drafted some of the major plot points as early as 1999. 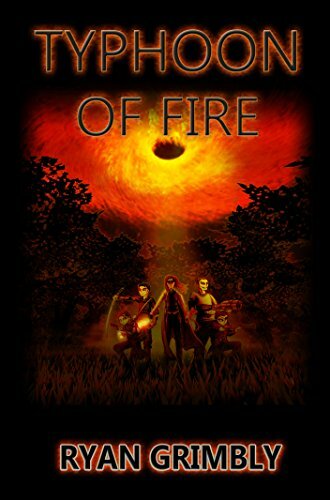 Another prequel before the Bloodfest series really begins, Typhoon of Fire is a notable mark in the lives of the leading characters in the series. New soldiers Ace Mcdagger, Shimon Akasone and Tiffany Milich have been through a lot more combat since their graduation in Call of the Conjurer, and have enjoyed a gentle, serene tour with Sierra Squad ever since. In retrospect, I would like to write more about the cast of Sierra Squad more. They get a brief look in during one of the Typhoon of Fire‘s flashback chapters, but the morose collective in November Squad and their head strong leader Captain Rafaella Loxwell were the more battered, despondent, colourful bunch to tell a story about. Newbies Ace and co – including plucky unlucky fellow “green” soldier Gill Pillson – are dropped into the ‘fire’ of the sweltering Malaysian wilderness and put to the test by their stern new captain. Captain Loxwell is a marked change from Captain Mason in Call of the Conjurer. She is strict and intimidating, and doesn’t seem to understand the ‘fuss’ over Ace Mcdagger. He tries hard to impress, but not as hard as he should do. Tiffany shines at least; Captain Loxwell regards her highly as fellow woman in the military. It’s a highly pro-feminist attitude, and one I’m glad to encourage. Where Ace had Captain Mason beforehand, Tiffany is given a mentor in Captain Loxwell. Captain Loxwell’s stern leadership brings a change to the group dynamic. Several new components to the Bloodfest series lore are introduced in this book, including other branches of the Hidden Government Army and a better examination of the way Magic works. At the start of the story, November Squad have lost a large number of their team mates following an unprepared assault on black listed Hidden Government facility, only known as the “D” Laboratory. The blame for the failure is constantly passed around between the leading officers of November Squad and the higher command; the Air Force soldiers, who are introduced in this book as the secret armed force’s own “Eyes in the Sky”. The Air Force wield a lot of power and authority over the Ground Forces, which keeps November Squad as the respected underdogs. I love an underdog tale, and the Bloodfest series is full of them. Ace’s desire to prove himself before Captain Loxwell is tested further with the introduction of his estranged cousin (or should that be strange cousin) Damian Hassler. The young lad is a handful. He’s arrogant, destructive, disobedient, and perhaps even insane; but he looks up to Ace as an older brother. It’s a new dynamic, creating a great duo pairing to coincide with Ace and Shimon, and Shimon and Tiffany. In fact “duos” is a major theme of Typhoon of Fire. Close bounds form the story together, from friends, lovers, comrades and rivals. All the characters meet their match both good or bad in this book. Ace stresses over Damian, the lovers Shimon and Tiffany face relationship turmoil as they juggle duty and romance, Loxwell and her trusted ally Lieutenant Bordestein keep each other grounded. Even the villains and their motivations are driven by the common theme of “duos”. Trying to spot them all in the story will take some time. A sketch of Damian, introduced to Bloodfest as a hot headed renegade / borderline psychopath (who you want to keep on your side). The other major theme of the book is Hell – fire and discomfort, suffering and tragedy. The river journey early on was the first part of the book I wrote, as a starting point for the visuals: the general colour palette and mood I wanted for the book. There’s a lot of orange haze and burned out decay, in-between scenes of vibrant green life. Admittedly I was heavily inspired by Apocalypse Now and other Vietnam war films for the setting – which in turn was based on the book Heart of Darkness. The Kalimantan region of Malaysia is beautiful and wild, but also dangerous and unfamiliar. When draped in a constantly fire scorched sky, it can be quite a daunting landscape. The jungle setting of the Kalimantan is also a far cry away form the clean comforts of Myrtle Beach in Call of the Conjurer. In the Kalimantan the soldiers are truly living – surviving – day to day on rations and requiring to be on guard at all times. Malaysia is not the only backdrop to the story. The cast venture off all over the world, reaching as far as Canada, New York, Warsaw, and the Huayna Potosi mountain range in Bolivia. These soldiers do get around. There’s another theme throughout the book – life, and whether ‘Life’ is always a wondrous miracle. 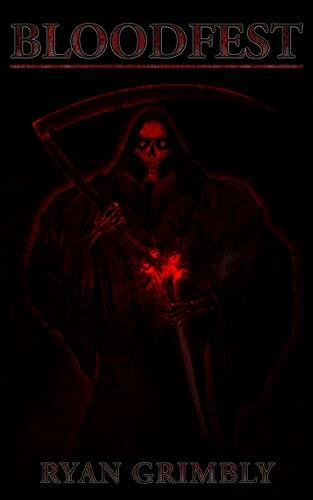 Sometimes ‘Death’ may be the kindest alternative, but I’ll leave this interpretation to the readers. I’m not inciting an anti-life movement here, but I enjoy a skewed look on the world. A sequel needs to raise the stakes, but this book is still a prequel to what is to come. The main cast are still young and inexperienced, and their adversaries need to be a raised threat, but still not as bad as what may come in the future. Juggling this balance was an interesting challenge. The immediate antagonists; the mad scientist Dr Weiss and traitorous witch soldier Nathan Edgrech, are only human despite their dangerous capabilities. Dr Weiss is a man spoken about in legend, and Edgrech stirs nothing but contempt among his former comrades. He’s sick in the head and deviously cruel, but he can only fight dirty, which shows how much of a coward he is. Even the early monsters encountered; the Mirezyns and Towermen, are relatively docile and easy to defeat. It’s when the story reaches a point-of-no-return around chapters 16 and 17 that the stakes are unevenly raised, and by chapter 20 all hell is literally breaking loose. The encounters are more visceral, mixing science, nature and magic in ways it should not. If Call of the Conjurer seemed tame on the horror aspect, Typhoon of Fire kicks it up a notch. It kicks its teeth out. Pen scribble of the kind of ‘living hell’ organisms in the story. Overall, Typhoon of Fire is a story about challenge and change. There are several moments for the characters to take a breather away from the battlefield and relax. There are always moments of light comedy throughout (and some moments of dark comedy), but things tend to get harder before they get any better, and there is a tremendous tonal shift by the end of the story. I’m proud of how it came out, and preliminary reviews say it is better than Call of the Conjurer. For the full experience, you’ll just have to read on. Typhoon of Fire is available on Amazon Kindle right now. He’s like a movie action hero… with the creative imagination of a ten year old boy. Some say Damian can make anything into a lethal weapon, and he certainly does try. Damian is a master of weapons. He has a destructive streak and a wickedly creative mind. Born in 1987 and growing up in East London, Damian was barely raised by his dad, and never even met his mother. It is suggested that something out of the ordinary happened between his parents; to the extent that his dad refuses to talk about it and appears afraid of bringing it up. In his youth, Damian spent as much time as he could at his cousin Ace’s house. He was at ease there, and happy filled the niche of ‘annoying small child who breaks everything but gets away with it because the older child takes responsibility’. Despite this, Ace put up with him quite willingly. Ace’s friend Shimon Arkasone was round often, and Damian had terrific fun terrorising him physically; but only because Shimon always fought back. Damian still looks up to his older, wiser cousin, but is reluctant to admit that. He pretends not to have feelings at the risk of appearing weak. He is utterly non-politically correct and quite content with that. He hates authority, only listening to those who he respects. He often mocks people, or lashes out with his short temper, but usually feels bad about it if he respects them. Damian wants to be liked, and he looks out for the people he cares about. Damian confronted the teenagers, clutching his rocket launcher and staring them down his fiery brown eyes, almost alight with fire. “Who’s this big fella?” Will whimpered. “He’s my cousin, Damian,” Ace answered. “Just don’t make any sudden movements around him…” Shimon grinned. While Damian possesses magical abilities, like all Hidden Government soldiers; Weapon crafting is his primary focus. He wants to create the most dangerous tools known to mankind, no matter how ridiculous they may be and has certainly succeeded more than once. He enjoys making bombs, challenging himself to come up with more elaborate designs. Detonating these things is the ultimate pay off. Damian loves explosions. It is a form of art to him. His greatest joy however is modifying the RPG, to see what else can be ‘rocket propelled’ to good effect. Some of his best efforts include the RPNB (Rocket Propelled Nail Bomb), the RPBFOA (Rocket Propelled Beaker Full of Acid), and the RPBOLOT (Rocket Propelled Box of Liquid Oxygen and Thermite). Damian is not a force of nature. He is something else. Damian actually thinks before he acts, which does not mean he necessarily thinks with much consideration for trifling things such as property damage, cost of repair, mental anguish, etc. His mind is on getting the job done, and his objective always involves creating the biggest explosion possible. He just does what the voices in his head tell him to do, whoever those guys are. Damian’s character was clearly inspired by any action movie you’ve ever seen, but also pretty much every character portrayed by Adrian Edmondson in the 80’s and 90’s. I feel that, despite his temperament and aggression, Damian often speaks for the audience. He is usually the first character to speak up in protest when things don’t make sense. He often demands further explanation when plot points or key moments of the series pop up, barking off a short “Explain,” for clarification. He’s a great narrative device in that sense. Damian also pulls a lot of faces to express his thoughts, despite this being a written medium. That’s just part of his character though – he’s a rule breaker; a truly metaphysical rule breaker. I have been working on the Bloodfest series for a long time now and I feel the need to explain myself; how the series works and what the ultimate goal is. At the time of this post, I have written three books: one firmly self published on Amazon while the others are in the copy editing phase (I keep referring to it as ‘post production’). In order to rebirth the series from a long slumber, I decided to write three original stories to firstly; practise writing again, and secondly; develop the characters for a modern era. These three books are all prequels to the “main event” called Bloodfest. 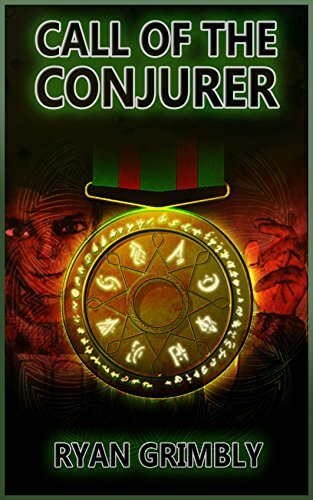 Call of the Conjurer is set in the year 2003, and follows the initiation of British born “magic soldiers” Ace Mcdagger and Shimon Arkasone. They have been ushered into the secretive organisation known internally as the Hidden Government, and are to be trained up in the art of magic combat. Several other characters find themselves in the same position, and a large part of the story is about team work. Ace and Shimon are key to the whole Bloodfest series; or at least how it begins. But for Call of the Conjurer I wanted to write a bigger story, and invented the character of Calbert Mason – a figure for Ace to look up to – along with many others for Ace and Shimon to form close ties with. Some of these characters will make further appearances in the series. Despite the establishing set up with Ace and Shimon, Call of the Conjurer became more of Calbert Mason’s story, and this formula of multiple viewpoints continues into the next book. Typhoon of Fire continues the exploits of Ace, Shimon, and their close allies three years later in 2006. New key characters are introduced, and life changing events will affect the main cast for years to come. Finally The Sardonyc changes perspectives entirely, focusing away form the action of the battlefield and onto the introverted scientist Sidney Gaterling. Set in the year 2010, this is one for the geeks. The pace is different; far more technical and steady. The Sardonyc is more of a psychological thriller, with a group of characters trapped on a ship and slowly going mad. Through these remarkable circumstances, Sidney faces his own battle against a mental threat, and his story gradually ties the prequel trilogy together. Ultimateley, these three prequel books are not essential reading to understand Bloodfest, but help deepen the main characters’ motivations and hint at future events. Set firmly in 2012, Bloodfest is an expansive story about savage battle, fatalism, bloodlines and mortality. The conclusion has been planned, and I know what kind of story I want each book to tell. The series may be one saga, but each novel has its own collection of themes and arcing plotlines. I hate to leave a story on an unsatisfying cliffhanger, and want each one to have a concluding story. Suffice to say the overall story arc has been mapped out over a number of years. Small changes have been made over time and continue to be made, but my primary intention is to put this series out and leave a little bit of me to the world. Not only me: but my friends who helped directly create and inspire the series. A fellow called James is the key partner in crime here; co creator of the original home movie and continued contributor of ideas. He also writes, and is already penning a side story to Bloodfest that is totally original. I have no input on his tale and I love that. Even if he never finishes it, I love the idea of an expanded universe. More about the origins of Bloodfest can be read here. I like to elaborate, and I want to answer questions and build up a reference source for the series with further texts and concept art. Being a writer means constant practise. Some nights on the train ride home from London, I jot down mini stories built around the world of Bloodfest and I plan to post them on the blog as little treats. For now, I hope you enjoy the character bios and develop an interest in the series. Please stay tuned as this blog fills with information! A cocky, confident young man who can back that up with powerful psychic abilities. Shimon has been through a lot in his life already, never feeling like he belonged in the real world, and taking to life in the Hidden Government Army with great enthusiasm. But Shimon has a lot going for him now, meaning he has everything to lose. Everything about Shimon makes him an outsider. He comes from a dysfunctional family and prefers to stay distant from them. He had few friends at school, which he believes attributes to his subtle dark skin, though this is reinforced by his stand-offish attitude towards others. Ace formed a good friendship with Shimon early in their lives, and is the only person who really knows him (aside from Ace’s young cousin Damian; to a lesser, more irritating extent). Shimon has many secrets. He realised at a young age that he had special abilities, percieving his psychic visions as dreams until it bcame clear that they always came true. Shimon learned that he could read minds, and move objects through sheer thought. His general disdain for people kept this bottled up and concealed from others. He did not want to share these amazing skills, concluding that it would only end in ridicule or humiliation. Or maybe that they didn’t deserve to know. Perhaps Shimon enjoys keeping his secrets. No matter how much people belittle him, he knows that he is something more. Shimon can say that he is above them. It’s a dangerous, arrogant attitude to have, but it’s also true. Writing Shimon is always tricky. He knows the outcome of every story, in theory. It is difficult to surprise him. In which case it is important that he needs to be unsure of what he sees. Years of being beaten down has left him wary of the world. He doesn’t even trust his own mind. For years, Ace was the only person Shimon had ever revealed his skills to, who kept silent about them out of unspoken respect. Entering the Hidden Government Army in ‘Call of the Conjurer’, Shimon finally feels free to express himself. They are surrounded by people with magical abilities, but it becomes clear that even now Shimon surpasses everybody else. He is beyond the ability of peers, and that brings him right round to feeling isolated again. But here he meets Tiffany Milich, a young woman who has been in his dreams for years. Shimon is mesmerized, though stilted in striking up conversation with her. Again, he can’t be sure of his own thoughts. What if his dream girl is a farce? More of a cautionary vision, than a fantasy? Shimon is uptight and fidgety. Ace jokingly describes him as ‘a drama queen’, but in all seriousness Shimon is twitchy, easily provoked, and knows how much power he posesses. The Hidden Government even allow him special privileges, given the rarity of his combined skills, and Shimon tries not to exploit that too much. For now. Shimon has foreseen his own demise and it doesn’t frighten him. He is (or at least claims to be) confident that nothing can kill him until that day. He has to learn to control his emotions before he can master his skills. Knowing the future is a dangerous thing. Do you act to prevent disaster, or do you ride it out, accepting when the worst is about to happen? Shimon is one of the first incidences of our number #1 rule; when naming characters, we can’t use the names of anybody we know. This is why Bloodfest characters have odd names, or use odd spellings. It used to be easy back in school when we knew, like, thirty kids in the whole school and you could still use normal, believable names for the charactes. These days it is not so easy. Luckily we realised early on that we’d have to scour around for uncommon, but not made up names, such as Ace and Shimon. As a child he trained in Kendo and Jōdō fighting techniques, but his parents made him give them up due to expenses. Most of Shimon’s sword expertise is self taught, using video tapes of sword training and martial arts. He avoids using guns and even ignores the magic spells he has been taught in the Hidden Government Army, prefering to stick with his telekinetic skills. His blood type is ‘O’, if you are in Japan.